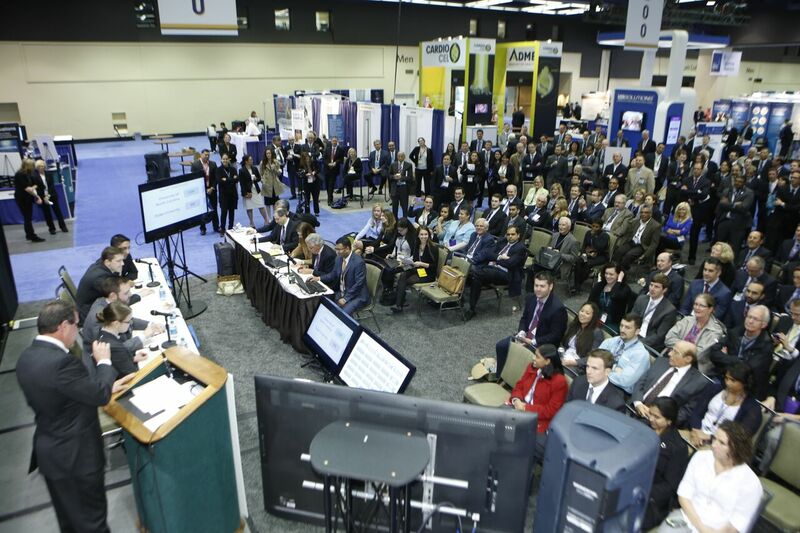 JCTSE hosted an inaugural “Jeopardy” Competition during the American Association for Thoracic Surgery (AATS) 95th Annual Meeting in April 2015. The Competition was a huge success, drawing large crowds of spectators into the AATS Exhibit Hall. The November Competition to be held during the STSA Annual Meeting is sure to another must-attend event! The JCTSE Residents Jeopardy Competition held during the 2015 AATS Annual Meeting was a huge success. STSA is pleased to announce that JCTSE will host a second Jeopardy Competition in the STSA Exhibit Hall on November 6. Additional details about participating in the Competition will be available at www.jctse.org as they become available. Please contact JCTSE Administration & Education Manager, Rebecca Mark, MA, MBA, with questions at rmark@jctse.org. The STSA 62nd Annual Meeting will take place November 4-7 at Disney’s Yacht & Beach Club Resorts in Lake Buena Vista, FL. Visit www.stsa.org/62ndannual to register, make housing reservations, and review the full educational program. Companies interested in exhibiting at the STSA 62nd Annual Meeting should visit www.stsa.org/exhibits to review the Exhibitor Prospectus and download an application. Please contact Angel Law, STSA Exhibits Manager, at alaw@sts.org with questions about exhibiting. Read more and view archives. Pay your STSA membership dues online. Paying by check? Contact STSA via email at stsa@stsa.org to request an invoice. Become a Member! STSA is now accepting Active, Associate, Candidate & Pre-Candidate Membership applications. or treatment in any particular case. It is very important that you consult a doctor about any specific medical problem or question. © 2019 STSA. All rights reserved. Site designed by Academic Web Pages.